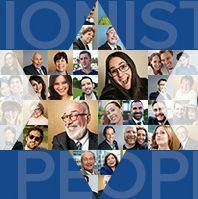 “The World Zionist Congress is the single best opportunity for American Jews to have its voice heard on critical issues facing Israel and the Jewish People” said Rabbi Vernon Kurtz, President of the American Zionist Movement; and the voice has spoken. Now that the elections have closed and the votes have been counted, 145 new delegates from the US will participate in the upcoming the upcoming congress. Elections for the World Zionist Congress ran from January through April and came to a close with a total of 56,737 votes. At the top with the highest number of seats: ARZA with 56 delegates, Mercaz with 25 and Vote Torah (AMIT, B’nei Akiva and RZA) with 24. While ARZA maintained their delegate count since the previous election, Mercaz and Mizrachi have lost a combined 18 delegates. Despite this decrease, the three major religious streams still hold over 70% of the seats of the American delegation. Two new slates vied for seats at the Congress during this election, Ohavei Zion, winning 4 seats, and Alliance for New Zionist Vision, which won 2. Below is the count by slate, and the distribution of the 145 delegates for the election of American Delegates to the 37th World Zionist Congress. 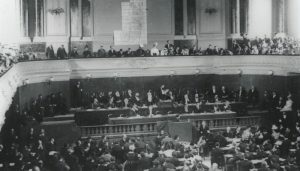 Although the Congress represents all of world Jewry, the US historically sends the second largest delegation to participate in the Congress, which offers the best opportunity for ideological parties to grow. This potential growth means positions in the WZO and increased budget spending in those departments. 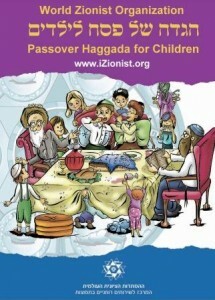 This year’s election saw an overall broadening of representation of Zionist groups and, as a result, slates such as Hatikvah, Zionist Spring and the ZOA gained seats at the table. Though the US elections have concluded, there are other countries currently running elections. All elections must be completed at least three (3) months prior to the opening of Congress. In Israel the Knesset elections provide the key to representation of Zionist parties at the Congress.  The US delegation looks forward to productive meetings with their Zionist counterparts from around the world, in the hopes of creating a stronger Zionist movement. The 37th World Zionist Congress is scheduled to take place October 20-22, 2015, in Jerusalem, Israel.